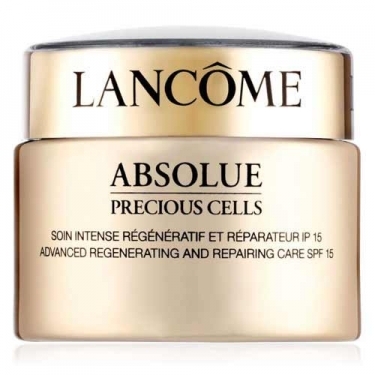 Absolue Precious Cells Régénerative Lancôme is an advanced regenerating and reconstructing cream that acts deeply at cellular level to effectively reduce signs of aging and achiving exceptional results based on stem cells latest discoveries. 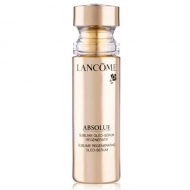 Lancôme laboratories unveil the crucial role of stem cells? and its ability to improve skin?s youthful quality. Overtime the regenerative properities of stem cells decrease dramatically due to the loss of essential nutrients and the damaging action of free radicals. Offers an intensive treatment specially formulated for mature skin (+50) with Pro-Xylan to restore the stem cell matrix. Signs of aging are visibly reduced because of the cellular action stimulates the production of young healthy DNA. Apply every morning and/or evening to perfectly clean skin. Smooth the product onto entire face from the centre of the face outwards, to counteract loss of firmness. Apply to neck massaging in the same direction.If you are using a serum, apply it before your day skin care cream.